Book condition: Very near fine in a like dustjacket . New York:: Alfred A. Knopf,, 1994.. Very near fine in a like dustjacket .. First printing. 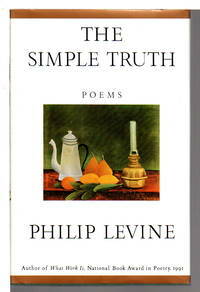 A collection of 33 poems, winner of the Pulitzer Prize. Notes, 69 pp.